Deutzia is a genus of deciduous flowering plants. It is part of the hydrangea family, but even though deutzia species have beautiful flower heads, they are not quite as showy as those of the various hydrangea species. While deutzia species are not among the most widely cultivated plants in Britain or Europe, this lovely shrub deserves our attention and should be allocated a spot in our gardens just like any other plant as handsome as this one. This species is also fairly new to European gardens, so we predict that its time is still yet to come. We will specifically be concerned with the slender deutzia or deutzia gracilis, as it is one of the most attractive and suitable Deutzia varieties around. 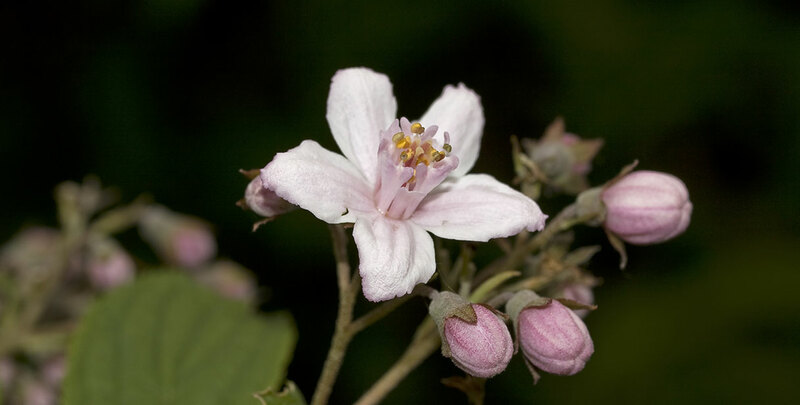 Deutzia gracilis is a low and slow-growing shrub, with a mere 10 to 15 centimetres of annual growth. 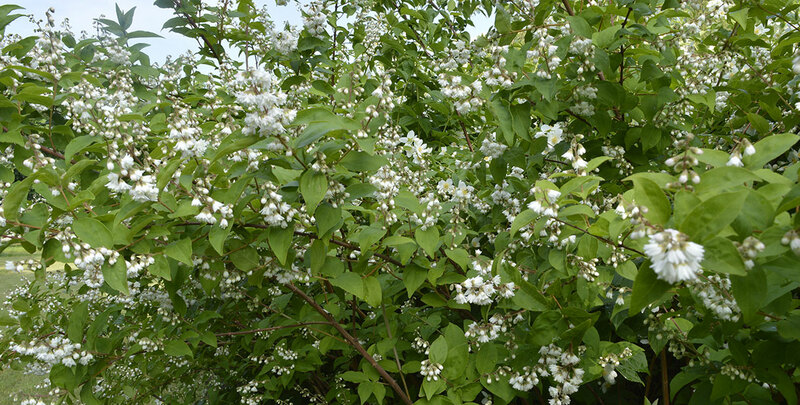 Its slow growth rate can be considered a disadvantage, as it will take some time before it has reached its ultimate height, but it can also be a benefit; this particular quality makes deutzia gracilis more suitable for small gardens and less demanding than many other plants in terms of pruning. Its low growth habit – it hardly reaches over 1 metre in height – makes it an ideal specimen for low garden hedges. It can also be very attractive in a pot. Regardless of how you choose to plant your slender deutzia, always keep in mind that it will only really come into its own in a smaller garden. Like most plants from the hydrangea family, deutzia species are native to Asia, specifically the area from the Himalayas to the Philippines and Japan. In fact, they do not occur in the wild in Europe. It was named after the Dutch garden enthusiast Johann van der Deutz, however, who was a patron of the renowned Swedish botanist Carl Peter Thunberg. The fact that the genus was named after a European man who lived in the eighteenth century shows that deutzia species were not introduced to our part of the world until the latter half of that century. In fact, Thunberg wrote about deutzia in his Flora japonica (1784), but it was not actually seen in Europe until the fourth decade of the following century. Since then, deutzia species have become highly appreciated as ornamental plants and naturally, their beautiful white to pink flowers have contributed to this. Many cultivars and hybrids have been developed specifically for garden use, including hedging. Its fruits are dry, inconspicuous and inedible and therefore add no ornamental value. Bees and bumblebees are attracted by the flowers on deutzia hedges. Identifying different species of deutzia can be quite a burden, as the differences are often very minimal. Many species are distinguished by their leaf hairs or seed capsules, due to which it would require a microscope to tell them apart. Luckily, we have already done this work for you, as the slender deutzia stands out due to its excellent hedging qualities. Deutzia hedges are easy to grow and handle, as they are not particularly sensitive when it comes to soil type and position. It is best to plant your hedge in a fertile, moist soil, or at least a soil that is not too dry. Make sure the soil is well-drained. You can plant your deutzia hedge in partial shade, but ideally, this hedging plant is planted in the full sun to encourage flowering. Deutzia hedges are hardy and tolerate frost. They can cope with exposed, coastal sites, but a more sheltered position is preferred. We advise you to fertilise the soil during springtime and if you choose to plant your deutzia hedge in a sandy soil, it is best to fertilise again in the summer. Pruning directly after flowering in the late spring or early summer is beneficial and encourages both flowering and busy growth. Stems can be cut back by a third to one or two healthy buds. 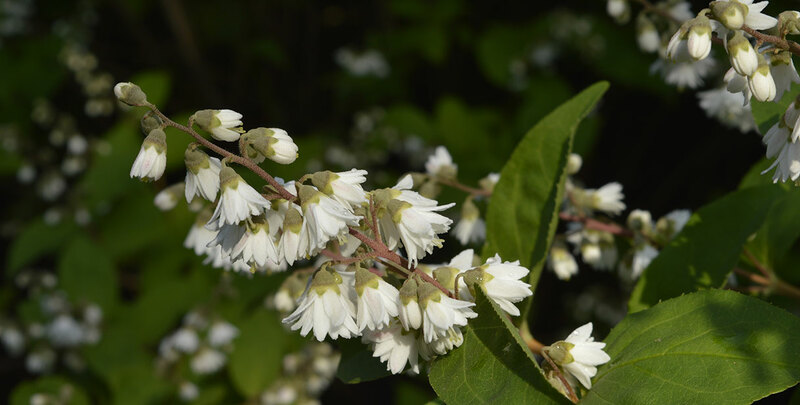 If you follow these instructions carefully – or, honestly, even if you do not – this delightful little shrub will reward you with masses of small, scented flowers in clusters held on arching branches, making a lovely sight from May to April. The serrated leaves generally are not particularly striking or exceptional, but they will turn a fabulous purple during the autumn. Be sure to water your deutzia hedge during prolonged dry periods. This is especially recommended when your hedge is planted in a sandy soil type. 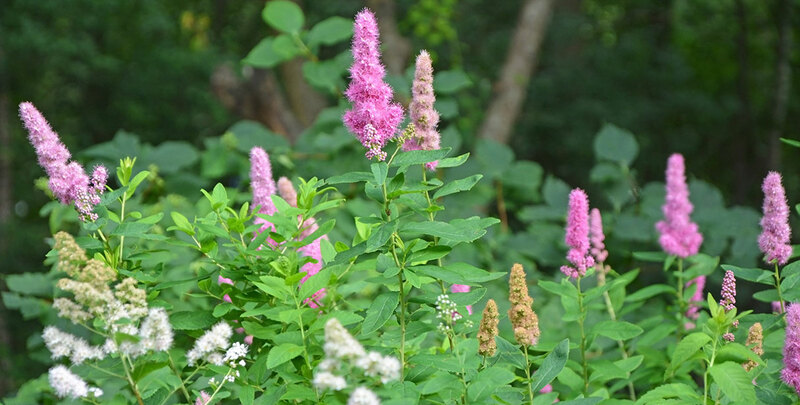 If you are looking for a beautiful flowering hedge, but hedging plants like the hydrangea or the butterfly bush are too showy for your taste, a deutzia hedge may just be the perfect hedge for your garden. Its flowerheads are usually white, but they can also be light pink and while their appearance is relatively modest compared to some other flowering hedging plants, they add an elegance to your garden which is impossible to ignore. Since deutzia gracilis is a low-growing species, but still has a dense, compact growth habit, it makes excellent low, informal hedges. Due to their slow-growing nature, the slender deutzia is an excellent hedging plant for smaller gardens. Where many flowering hedge plants require more space, deutzia gracilis can make a garden look a little livelier even when space is limited. Some people even choose to grow the species in a pot. You can also choose to plant your deutzia hedge in your front garden, as it provides you with a beautiful border, but will not keep the sunlight from your house.